Approximately 23 Syrian refugee women have now successfully completed both their practical and theory Montessori exams and soon they will receive their official Montessori certifications. Another 10 continue to works towards their certification. In fact, the MACTE (Montessori Accreditation Council for Teacher Education) team had a ‘virtual’ visit in August 2018 to both projects in Istanbul, Turkey and Amman, Jordan where they met the adult students and toured the classrooms. They were very impressed by the students and their in-depth knowledge of the Montessori philosophy. Maha is extremely grateful to one particular friend/donor who donated close to $20,000 for the certification of all the teachers. Additionally, he made another generous contribution towards establishing another school for the newly certified teachers. This school is in Istanbul; it has one class for an infant/toddler program and two others for 3-6-year olds. One 3-6 classroom is already established however, they are still in need of funds to set up the rest of the classrooms….and sponsor some children to be able to attend. 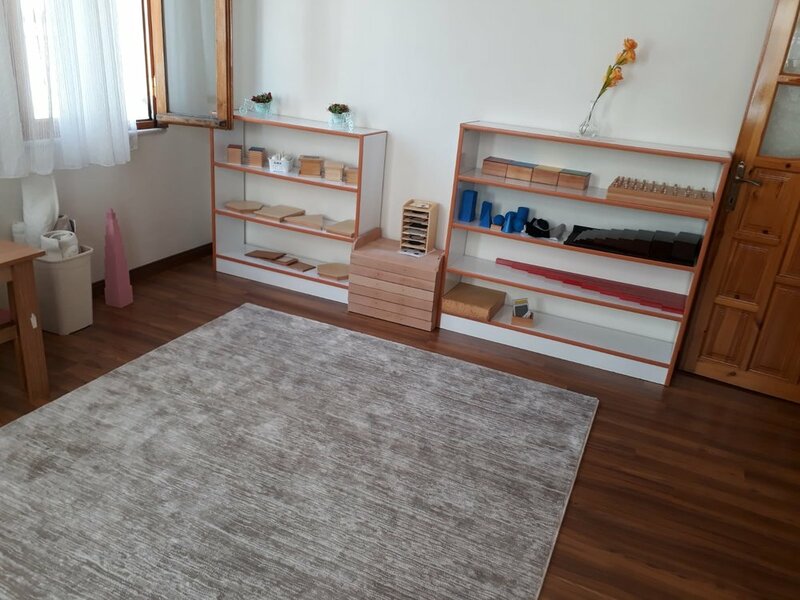 Maha’s Montessori Mission wants to offer this unique and valuable Montessori education, not just to those who can afford the school fees but to all children. They are looking for sponsorships for those financially struggling children and families. Monthly school fees are $120 for a full-time student; $55 for a half day student. For a one-time donation of $1440 you can sponsor a child for a year of full-time Montessori education. Please consider making a DONATION today and imagine the difference that will make in their lives! "Dear friends, I just returned from Istanbul and Amman, where I visited my interns and observed them working with the children. They are making a remarkable progress in presenting the Montessori materials and observing the children to learn more about their needs. They are working in harmony with each other. I will be visiting them again for their final observation at the end of June. Kitty Bravo, Director of the Center for Guided Montessori Studies, is working with MACTE (Montessori Accreditation Council for Teacher Education) on finalizing the process for obtaining Montessori certification for our Syrian refugee interns. There is a lot of interest in our interns now because of their unique Montessori education and knowledge. We have certainly empowered them and provided an opportunity to earn a living. In the meantime, they are shaping futures and changing lives of future generations. I've spoken to several groups in Amman and Istanbul who are interested in starting projects for our new Montessori teachers. There is also a school in Amman who wants to hire four of my teachers, so I am working on securing jobs for them, God willing, things will work out! 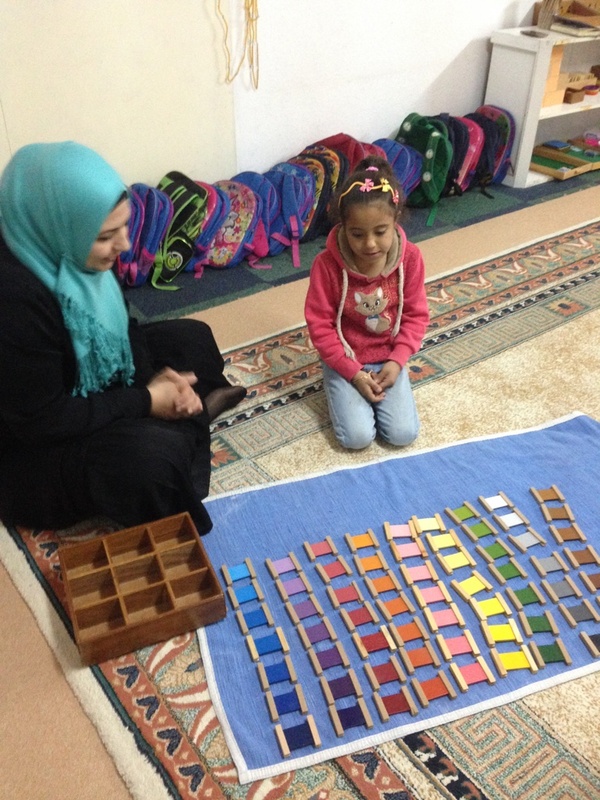 We still need donations to help pay a translator to translate into Arabic all the Montessori resources of CGMS. 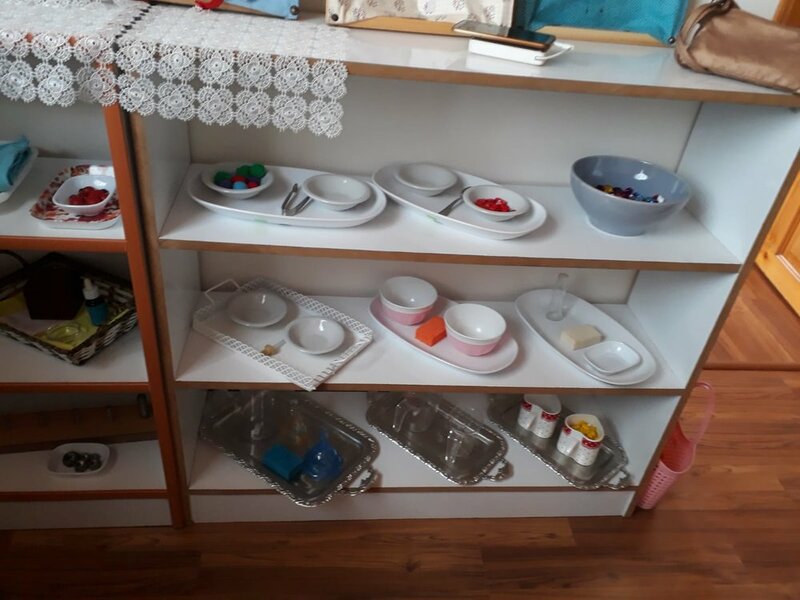 Additionally, we are in need of fundamental Montessori materials for the classrooms. If you can help, please click here to DONATE or check Maha's Montessori page for more information. Thank you again, my friends, for all your support." These wonderful, big-hearted, little girls from Troop 144, Farthest North Girl Scout Council in Fairbanks, Alaska have done it again. They've been collecting and decorating soccer balls for HADAYA to distribute, bringing some much-needed joy and fun to the lives of refugee children. In light of the terrible situation in Aleppo and the many thousands stranded there, HADAYA is sending emergency evacuation kits that include ready-to-eat food, warm clothing and medicine to traumatized refugees in urgent need. We are working with a local, on-the-ground, organization on the border of Syria and Turkey who are dealing with a massive influx of these refugees fleeing Aleppo and who need our help. Over the holidays, please consider asking your family and friends to join you in giving. Help us provide at least 2,000 kits. Let's all help in this small way! • $600: Would make a HUGE difference in the lives of many! HADAYA was happy to help in this courageous effort and we will continue to support the efforts of local organization, Kids Paradise, (as well as specifically addressing the needs of the youngest children) as we move into Spring! Many thanks to the kind and generous folks whose donations of financial support made this happen. Your spirit of love was felt by the many families who arrived hungry, disoriented and exhausted from their homes. SHUKRAN! New Hadaya ambassador, David Clay, and Jennifer MacDonald were lucky enough to connect with the wonderful Khalid Nabeel Mukhtar in Amman, Jordan. Dr. Khalid is an Iraqi ear, nose and throat doctor and avid member of his church who spends the majority of his time caring for newly arrived refugee families from Iraq. They are Christian families from in and around Mosul who have fled the onslaught of extremists with nothing more than the clothes on their backs. As they are not allowed to legally work in Jordan, things are very difficult for them once they arrive in Amman and many of them need all types of assistance, especially families with special needs or handicapped members. Hadaya was able to offer some gifts to individual families this summer and we hope to do much more this Holiday Season. If you are interested in sponsoring an Iraqi family in Jordan through Hadaya, please e-mail us with the subject: IRAQI REFUGEES. We sponsored a day at an indoor amusement park for 56 children and their families. A majority of these kids suffer from PTSD so it was great to see them smiling and laughing. For many of them, it was their first trip to this type of park and the first time in a long time they had the freedom to just play and be kids. We also gave each child a backpack full of gifts (soccer balls, jump ropes, tops, puppets, books and art supplies). Thanks to everyone whose donations and labor made this happen. They LOVED it! We hosted a luncheon at a restaurant in downtown Amman for about 25 kids and their families. David played the clown and made balloon sculptures, much to the children’s delight. They each received one of the toy-filled backpacks as well. It was touching to see how happy this small gesture made the parents, as well as the kiddos. We attended a wonderful performance of songs, poetry and theatre by a Palestinian youth group in the old city. The kids were incredibly passionate and creative and wrote many of the theatre pieces themselves. The Palestinian youth are a poor and underserved community in Jordan and often get forgotten, especially due to the current refugee crisis. Thanks to the lovely Hiba Al Shatarat, HADAYA is currently helping to renovate their community center so that they will have a positive, clean and safe place to gather, practice and study. Hiba organizes and leads a group of dedicated volunteers that will be doing things like repairing and tiling the bathrooms and kitchen, painting, installing windows and making cosmetic repairs to make it a happy space. We believe that a functional, uplifting environment has a huge impact on the psychology of a child. We can’t wait to see how this place is reborn! Before and after pics coming soon. We also plan to continue to help renovate gathering spaces, schools and homes for this community as the need arises. If you are interested in helping with this particular effort, e-mail us with the subject: COMMUNITY CENTER. We were lucky enough to meet Maha Turner at our hotel on the day we arrived in Amman. She told us about her career as a lifelong educator and about her dream of starting the first ever Montessori classroom for Syrian refugees in Jordan and we knew we wanted to help. HADAYA provided some of the materials she needed to open the (yes!) very first Montessori school for the children of Syrian widows now living as refugees in Amman. The school is geared towards children 2-7 years old, many of whom suffer from PTSD and are at a crucial stage in their development. This age group is widely underserved by aid organizations since they are not yet technically school age. Maha’s program fills a huge gap and she is even training some of the widows to be teachers! We hope to continue to support this school and others like it for refugee children in the region. Bravo Maha and team! This is a beautiful effort by a truly wonderful lady we feel blessed to know. The spirit of HADAYA is collaboration - in ways big and small, with other heart-centered people who have decided to take action. If you’d like to be one of them, contact us with the subject: MONTESSORI SCHOOLS. When we heard about activist and filmmaker Nawneet Ranjan's efforts to establish a fully functioning community center and hub of activity for the Dharavi Girls in Mumbai, we knew we wanted to help in any way we could. The Dharavi Community Center provides opportunities in science, technology and art to almost 200 girls living in the slums. The girls live in 200 square foot rooms in the narrow alleys of Dharavi, up steep ladders, and without much light for studying. Typically, there are an average of 6 to 11 family members living together so it is impossible for the kids to find the space or privacy to study effectively. As part of our ‘Summer Love’ projects this year, Jennifer has travelled to Mumbai, India to meet Nawneet Ranjan and the Dharavi Girls. It’s been another eye- and heart- opening opportunity to connect with these beautiful children and see firsthand how resilient the human spirit can be. This week we provided over 100 books on science, language and history for their library, along with several cameras for their journalism program. We also provided six months worth of various art and writing supplies; a variety of science related tools; handcrafted spinning tops and jump ropes - with thanks to Samara Mendel Price of Asheville, Glendale Woodturners Guild and Carolina Mountain Woodturners; Hobey Ford's Peeper's Puppets; several cameras; and soccer balls donated by Christ School students and Farthest North Girl Scout Council Troop 144 from Fairbanks, Alaska. We are thrilled to be working with such talented and inspiring kids and look forward to future projects here. And a HUGE thank you to everyone who helped make this happen! We love that the latest 'joy delivery' of soccer balls are from some of our youngest Hadaya supporters, all the way from Fairbanks, Alaska! BIG THANKS and HUGS going out to Troop 144, Farthest North Girl Scout Council and their team leaders Joe, Samantha and Vicky. If you didn't already know, Asheville has won 'Beer City USA' most years since 2009! Boasting more breweries per capita than any other US city, over 100 local beers can be enjoyed in and around the area. Each of our breweries has its own unique atmosphere and personality and the same could be said for the beer. Which is why we're teaming up with several of our local breweries this year to not only support our 'Summer Love' projects, but to begin promoting World Refugee Day on June 20th. We are seeking to build long term partnerships with the region's breweries, that support refugee children and educate/engage the public, through HADAYA TOYS. Our ultimate vision is to have a yearly nationwide event (much like Dining Out For Life) on or around June 20th - World Refuge Day. We believe that Asheville is already a model for the rest of the country in forward-thinking community engagement, and we want to be the first to rally our community around the refugee crisis - the largest humanitarian disaster since WW2. So come on out and raise a glass for refugees! A portion of the profits on these 'pint days and nights' will go to support HADAYA TOYS!! Thank you brewers, we love our town and community! Please consider donating here for our SUMMER LOVE projects. This summer, HADAYA TOYS will be delivering soccer balls, school supplies, and toys to over one hundred Iraqi refugee children living in and around Amman, Jordan. These children are from Christian families that have fled persecution by ISIS in Northern Iraq (Mosul), often at great personal cost. Many of them are orphans or have lost much of their family. They are being generously hosted by various Jordanian priests, however, their guardians are unable to legally work in Jordan and the larger government aid organizations are not helping them as they are overwhelmed and underfunded. They are in desperate need of emergency formula, baby food and bottles to get them through the long hot summer. HADAYA hopes to provide $5k worth of emergency food aid which should help feed the kids for up to six months. We are also very excited to collaborate on an innovative project, Dharavi Diary, in one of the largest slum populations in the world, in Mumbai, India. Fusing storytelling, digital literacy and mobile application entrepreneurship, a group of about 250 women and children (mostly girls) are learning leadership and tech skills to become the 'change makers' of their community. In a small, make-shift, tech design lab they meet to learn mobile application technology to help solve their community problems - an app that alerts the best time to collect water form a community tap, so they don't waste time standing long hours in a queue every day; an app focusing on women's safety that includes a distress alarm, location mapping, and SMS alerts; and another that gives ideas for recycling items to create new products and educate on waste management. All of which supports their independence, self-esteem, and ability to find employment later. HADAYA hopes to cover six months of the 'supply' costs, about $5k - to include laptops, digital cameras, library books, art supplies, stationery, rental for a safe place to learn - and see how we can be invested further by developing an ongoing, supportive relationship. Since November 2015, Kristian Gaylord, another Hadaya Ambassador, has been working in a remote village in the Gorkha province of Nepal - which also hosted the epicenter of last year's 7.8 magnitude earthquake, killing almost 10,000 people, displacing more than three million others, and destroying hundreds of thousands of homes. He is helping to build a school for primary age children that is designed to remain standing the next time there is another earthquake of that magnitude. Kristian is also a past student of Jennifer's, from Christ School, and recently contacted her with a plea for help: desperately needed supplies of blankets, medicine, and other supplies for thousands of displaced people, many of whom are children, in Nepal. On behalf of Hadaya, Kristian purchased a library of over 300 books in Kathmandu which will be airlifted to the remote village school. The books, which will serve over 700 children, only take up half the allotted weight for the helicopter... the remainder will be filled with much needed medicine for the winter. Go Kristian!